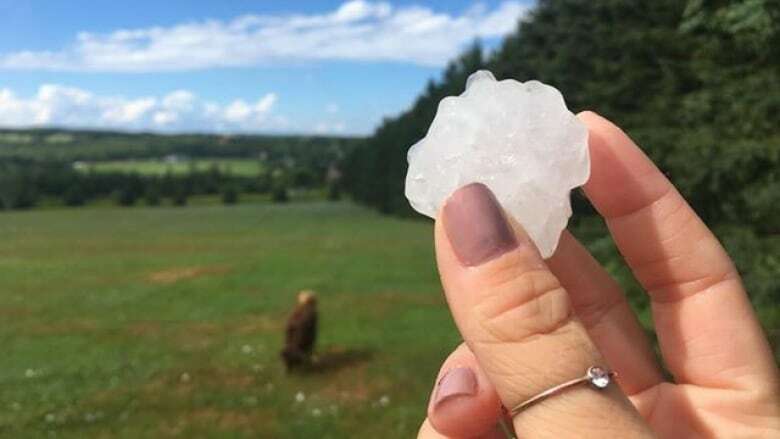 A flash of hail moved through P.E.I. late Friday afternoon, felling trees along the way. 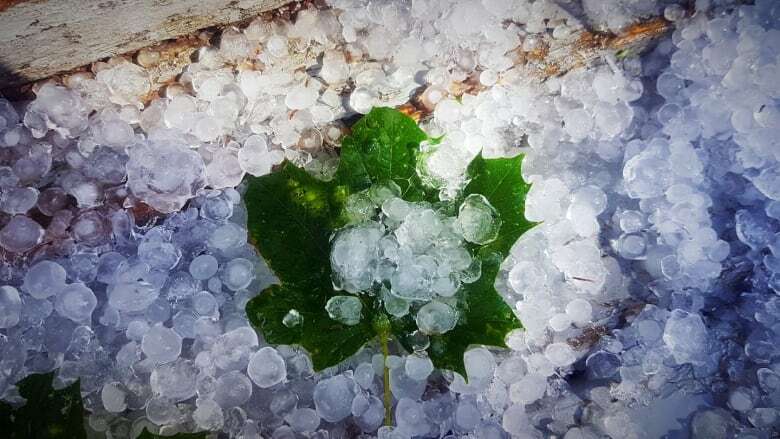 A flash of hail moved through P.E.I. 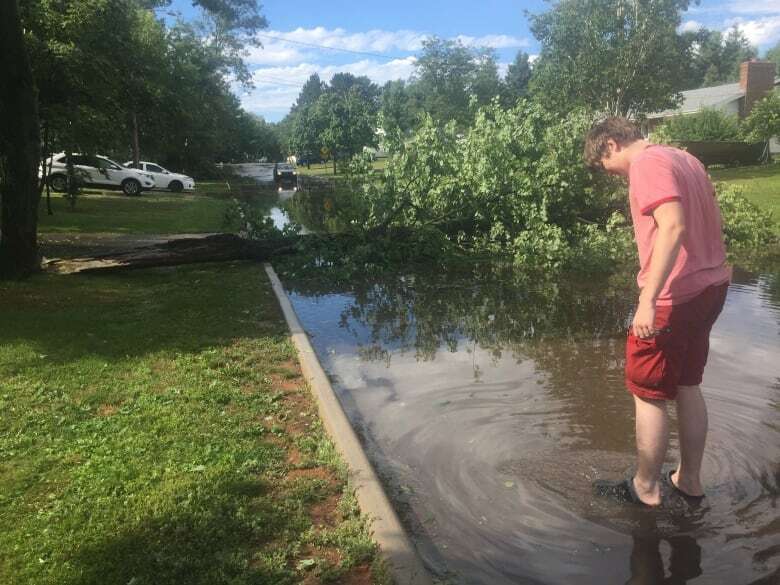 late Friday afternoon, felling trees along the way and knocking out power to nearly 2,500 Maritime Electric customers, according to the utility's outage map. Most of the outages happened in the Charlottetown and Stratford area. 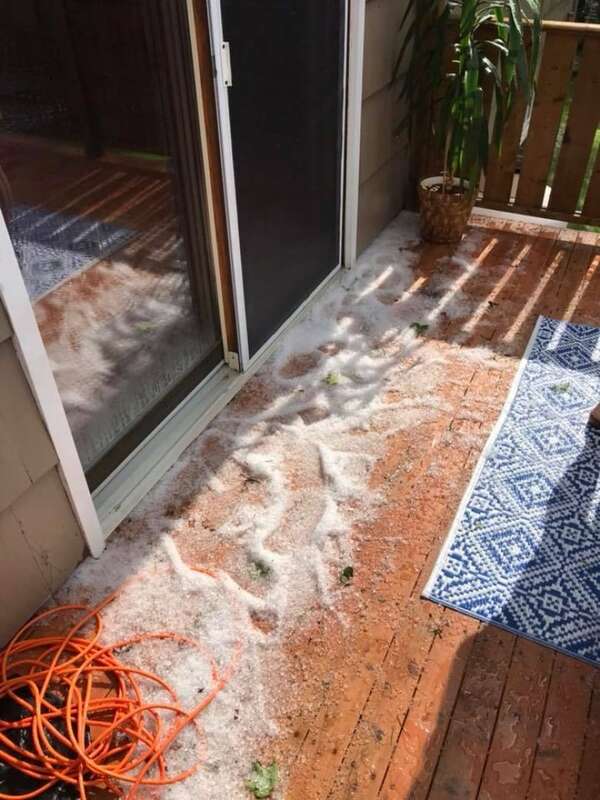 Kim Griffin, spokesperson for Maritime Electric, said there was "lots of damage around the city" following the hail storm. She said trees had to be cut and that crews were on site to do repairs and restore power. 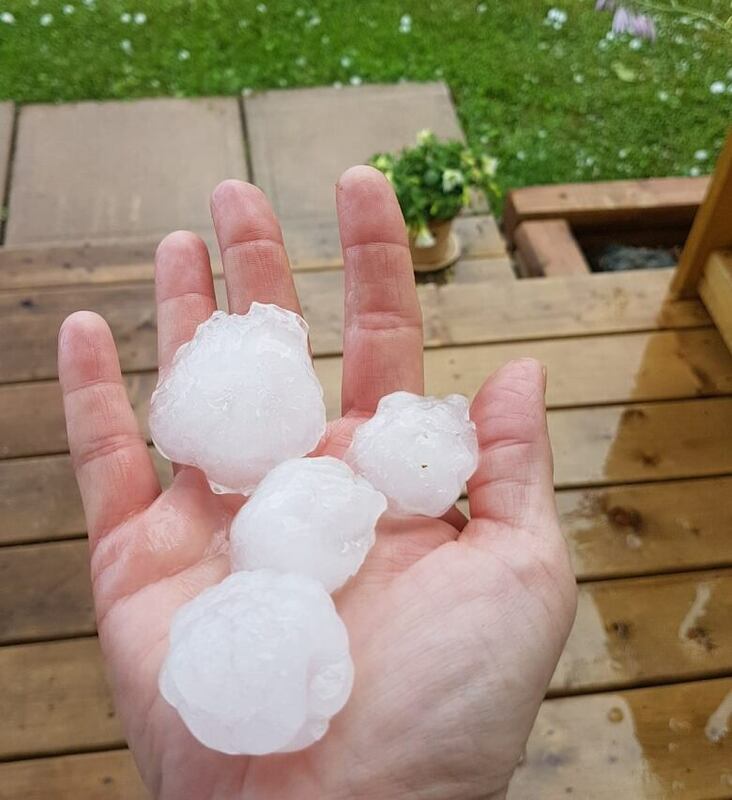 Some pieces of hail were the size of baseballs, others like marbles. 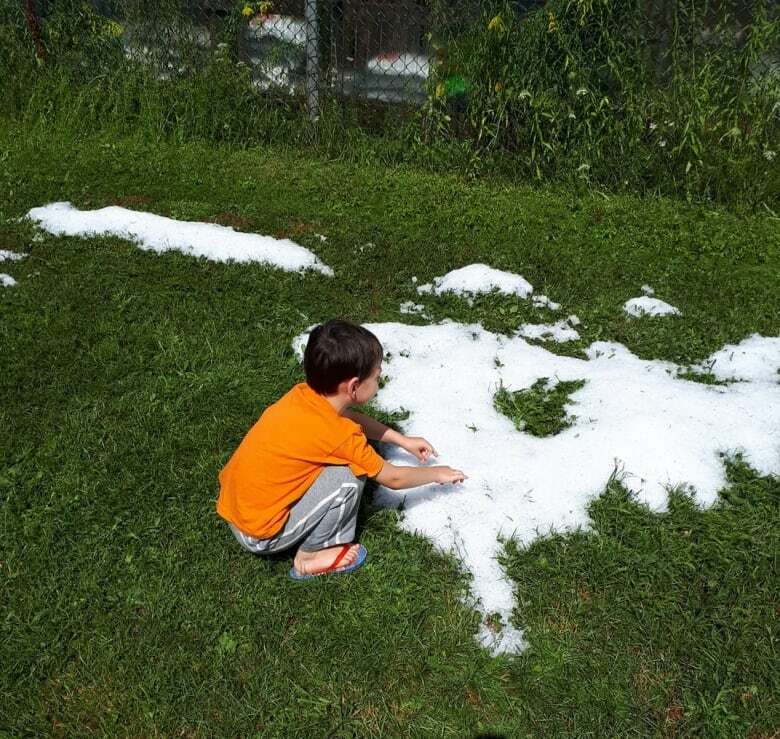 Here's some tweets as well as photos readers shared on our CBC P.E.I. Facebook page.